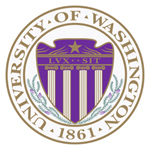 The University of Washington is experiencing a few set backs in its plan to eliminate the U-PASS sticker and replace it with smart card technology, according to a university newspaper. The U-PASS – physically a sticker that is affixed to the back of the Husky Card, UW’s official ID card – is a bus pass that provides students, faculty and staff with low-cost transportation options from buses, commuter train service and light rail. Last year, the university announced it was doing away with the U-PASS sticker and replacing it with smart card technology that would enable administration to better determine the given status of a person’s card, such as if it is lost or stolen, or if a person’s eligibility for the U-PASS program has changed. However, school officials say that UW’s large and diverse population has made this a challenge, requiring extra time and planning, and also pushing up total costs. Administration says that after purchasing and printing of cards, programming, staffing and planning the total cost will be about $500,000 – almost double the original budget. Transportation Services and the Husky Card Account and ID Center have tentatively pushed back the distribution of new Husky Cards until spring 2011. Students will receive a new Husky Card at no cost, regardless of whether they plan to participate in the U-PASS program.